Earn $0.46 in VIP credit (46 points)What's This? 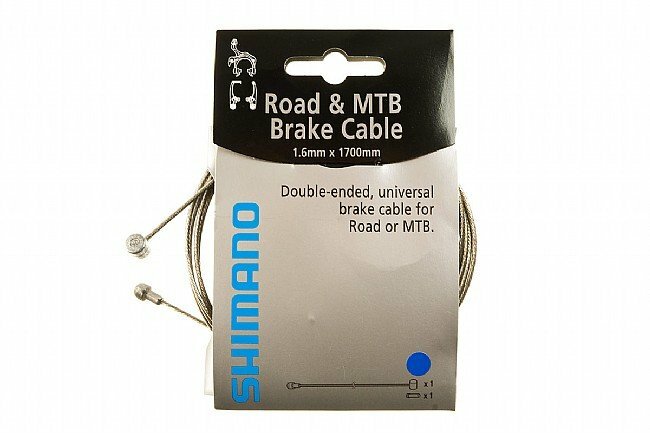 Universal Double Ended Brake Cable is compatible with road or mtb levers. Simply cut the end you don't need to use. Long enough to reach the rear brake on most bikes. Includes ONE inner cable and end cap only. Does NOT include housing. 1.6mm diameter. 1700mm length.